Get 2 Acupuncture CEUs/PDAs for FREE with the purchase of multiple credits & find Acupuncture Continuing Education Online that is hassle free & convenient. Do you love working with herbs and believe they can be a great addition to acupuncture treatments? For a great price, this class goes over herbal safety rules, regulations, medical error prevention, and important details providers must know before prescribing herbs to patients. Upon completion of hte course, you will be able to identify safety recommendations for herbs that can be used to enhance your every day practice as well as valuable tools/lessons that can be used to keep your patients and yourself safe. Are you interested in anatomy and physiology of the brain and how this ties into depression? Well, we have you an excellent course for you. For a great price, this course will discuss brain regions, neurotransmitters, hormone imbalances, and exciting research about depression and how it occurs in the brain. By taking this course you will grow your knowledge on depression, and have this new found knowledge to help educate your patients and fellow colleagues about this condition. This course is a must for any acupuncture practitioner eager to learn and understand the specific effects depression has on the brain. Are you curious to learn more about the Western Medicine approach to treating depression? For a great price, this course teaches the different components of Western Medicine Treatments for Depression. Topics include anti-depressant medications and medical imaging technologies used to detect depression in the brain. Gain an understanding of how psychotherapy works to treat depression, and how electro-convulsive therapy works. 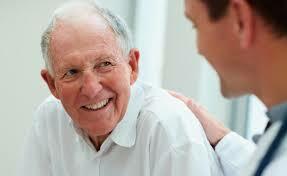 Present day research on the effectiveness of Western Medicine in treating depression is also discussed. Are you eager to learn more and enhance your knowledge on easter treatment modalities for depression? For a great price, this course will go over the treatment plans and acupuncture points used to treat depression in current practice as well as existing research on the most effective treatments, including a discussion on how stress management can decrease feelings of depression and aide in the overall well-being of the patient. 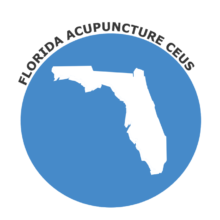 All Acupuncture CEU Courses Florida Board Approved.